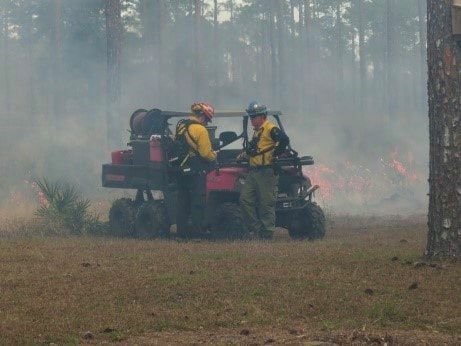 Refuge Fire Expert Vic Doig , with assistance of Refuge staff and the staff at the Prescribed Fire Training Center, has been able to treat approximately 2,200 acres of critical fire dependent habitats. This has been a monumental effort, especially due to delays in implementing fire projects as a result the “Shutdown” and having limited certified staff. All of these acres were "hand burned", without the assistance of helicopters or other air support. Prescribed fire is crucial in managing upland habitats to promote healthy ecosystems for fire dependent wildlife and plants. 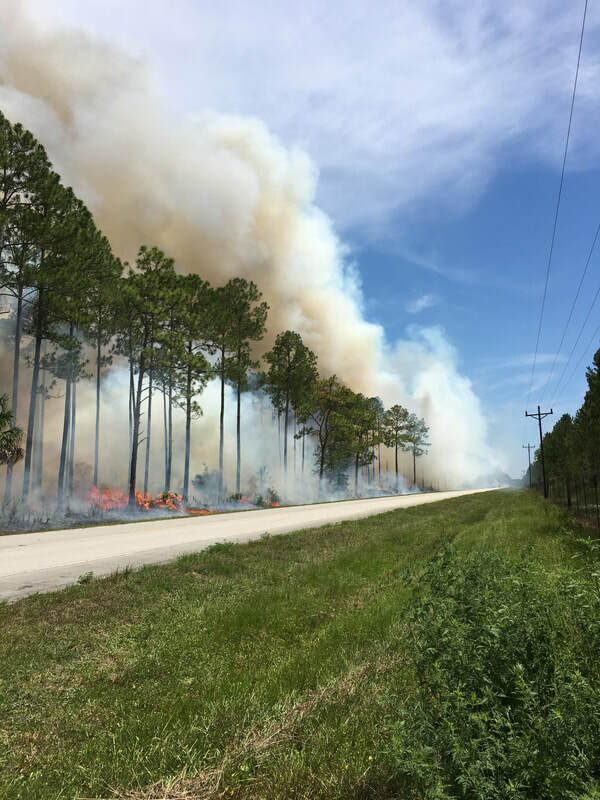 Over the past month, Refuge Forester Daniel Barrand has developed and implemented an intensive forest restoration project in Dixie County. 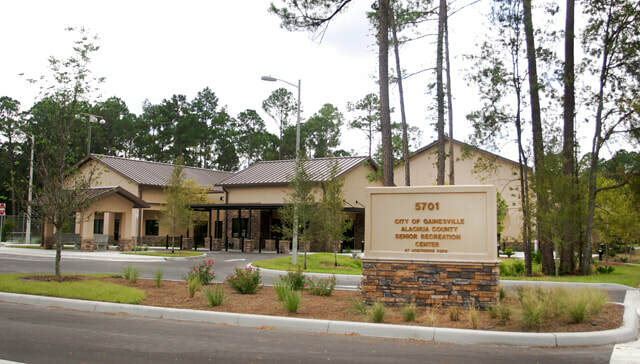 The project is designed to promote the health of established longleaf pines as well as to remove dense, undesirable understory vegetation. 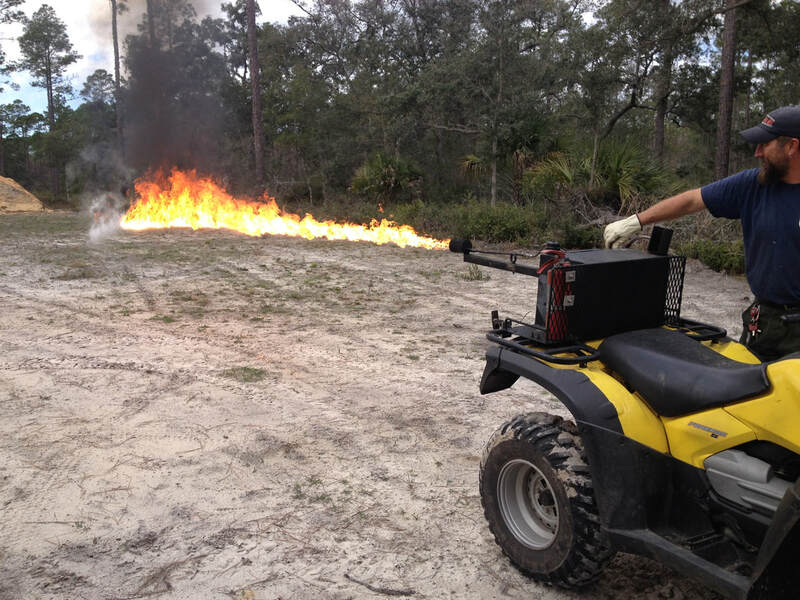 The project includes selectively applying herbicides and then using the new Refuge heavy equipment to prepare the land in order to promote the growth of more desirable herbaceous plants and grasses. 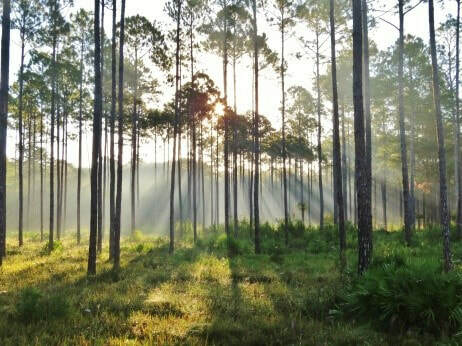 Under his direction 70,000 longleaf pine seedlings were planted in target site improvement areas. 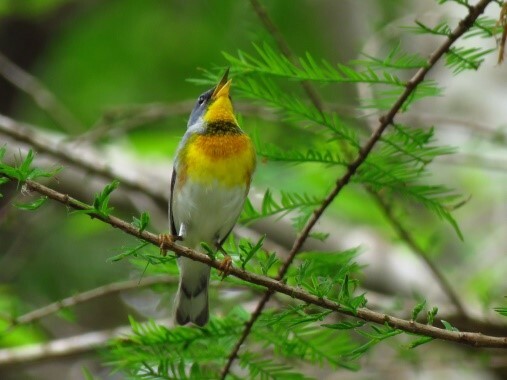 As we move fast forward toward summer, says Deputy Manager Larry Woodward, so too are the neotropical bird migrants headed to their summer destinations. It seems that each day, a new species appears in the morning loudly broadcasting its arrival. 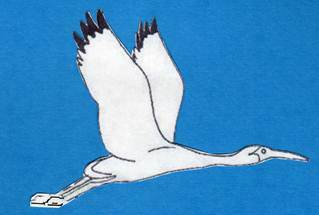 First, the Northern Perula came. Swallow-tailed Kites soon followed, with vireos, waterthrushes, warblers, and tanagers next in line. Just this week, he says, "I heard my first call of the Great Crested Flycatcher. I can’t wait for what’s next." Some stay while others continue their journey north as soon as they give themselves a short break after their exhausting their trans-Gulf marathons. With stays of a week or two, they rebuild the energy lost crossing the Gulf and build up their needed nutrition in preparation for the trip north to nest and renew the cycle of life. The refuge staff ought to humbly and quietly pat themselves on the back knowing that these migratory beauties arrive to a bountiful table set through careful habitat management. As Larry tells us: The value of this Big Bend area of Florida to all creatures great and small can never be adequately measured as the scale does not go that high. Please visit the refuge and enjoy the chorus. 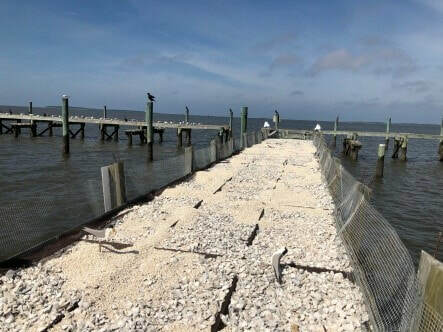 Refuge staff members are working with State of Florida Fish and Wildlife Conservation Commission staff members to restore the Atsena Otie Key nesting platform for this season. 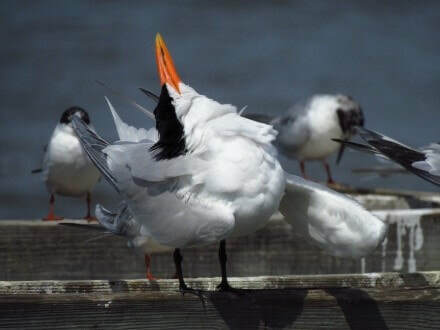 The focus of this project is to provide nesting habitat for least terns. It is critically limited in this portion of the Nature Coast. Although this type of project has been very successful in other areas, we have had the unfortunate re-occurrence of early season storms creating extremely high waters that wash the nesting base material off of the platform. The good news is that our staff members are too stubborn to give up. They are developing a new protocol that is sure to be a safe and secure platform for ground nesting birds. 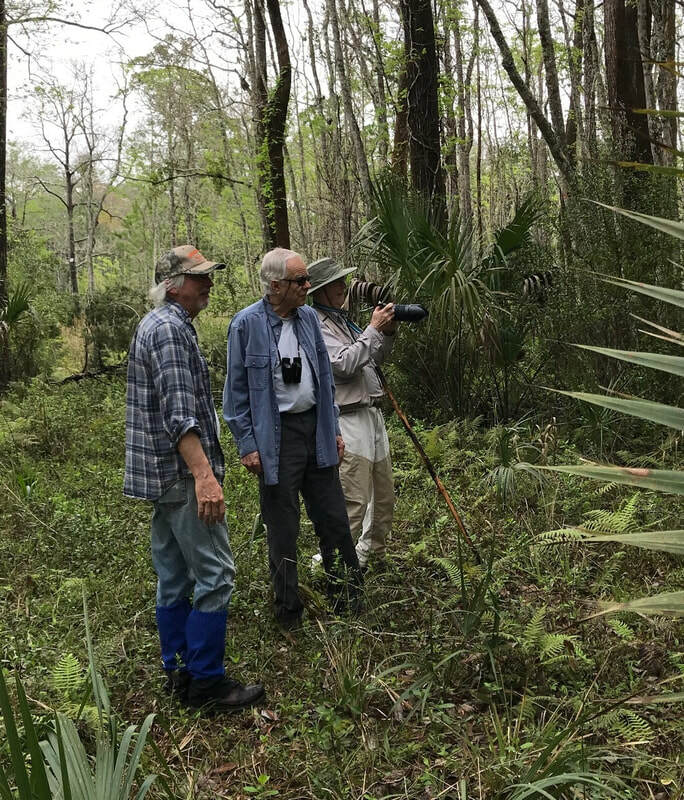 Refuge staff, in partnership with Russ Anderson project manager at the One Health Center at the University of Florida, are capturing audio recordings of bird calls within the Snake Key rookery. 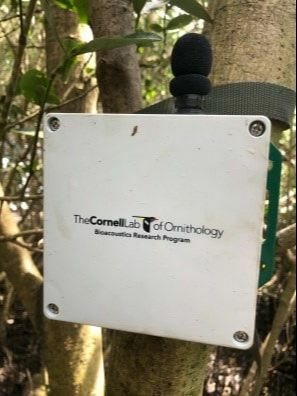 The refuge acquired two SWIFT recording units specifically built for this type of application by the Cornell Lab of Ornithology Bioacoustics Research Program. 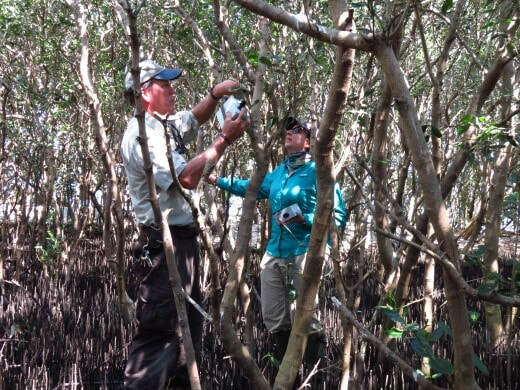 The audio recordings will be analyzed and condensed into a series of bird calls of local rookery nesting birds that will be broadcasted at Seahorse Key next year in hopes of attracting the birds back to Seahorse Key to expand the rookery. It appears to be an exceptional year for bird nesting activity at Snake Key, both in terms of numbers of birds and species diversity. 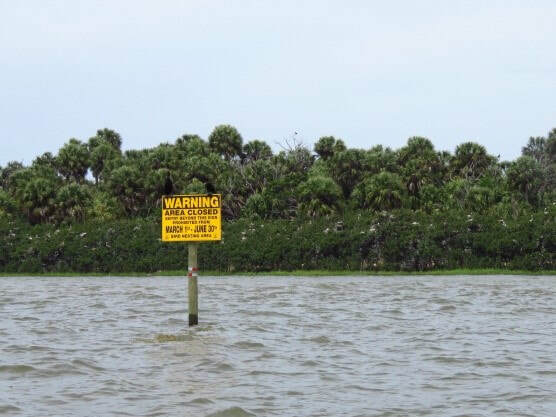 The area around the island is clearly marked as closed to boat and all access. This is crucial to ensure a successful nesting season and chick survival. Refuge staff will be conducting an intensive flight line count project during the first 10 days of May to determine an index of species occurrence and population. In the past months, the Welcome Desk volunteers have helped almost 125 visitors to the Refuge. Volunteer coordinator Kit Lane and all the Refuge staff members send a big thank you to the volunteers. As the high season for visitors winds down, there will be fewer needing help. There will also be fewer folks available to volunteer. If you are here and would like to spend quality time sitting at the headquarters enjoying the peace while waiting for visitors, email Kit at friends@friendsofrefuges.org. Deputy Refuge Manager Larry Woodward and Refuge Fire Expert and Biologist Vic Doig have been out talking to the public. The message -- a bad day at the Refuge is still better than a good day in almost any other job they can think of. We in the Friends of Refuges believe our Refuges need and deserve more staff and more support to accomplish their mission. We are frustrated by staff and resource reductions. You might think the staff would be disheartened and discouraged, and maybe they are sometimes. But they clearly cherish the work that we-the-people entrust to them. They are ready and eager to talk about it. Larry Woodward gave a presentation at the Gainesville Senior Recreation Center about what it is like to be a Refuge leader, and how the work makes a difference in our world. Vic Doig talked to students at the University of Florida Career Fair about the value of Refuge work and the sense of professional accomplishment that comes with the job. Friends is experimenting with having a presence on Meetup.com where guided walks can be announced to a wider group than just our members and News Brief subscribers. Recent guided walks have included Shell Mound, the River Trail, and Secondary Road Hikes on the road to the Gopher River and on Cabin Road. Another Secondary Road Hike will be offered on Tuesday, April 23. Watch for details here on the website, on Friends Facebook page, and in Meetup. When you join Meetup.com, which is free, you select the type and location of activities that interest you. You can also join the Lower Suwannee Refuge group and specify that you want to be notified only of Friends activities. Meetup is a chance to let nature-interested folks who are unfamiliar with the Refuge learn about Friends activities and participate if they choose. You can join Meetup here. 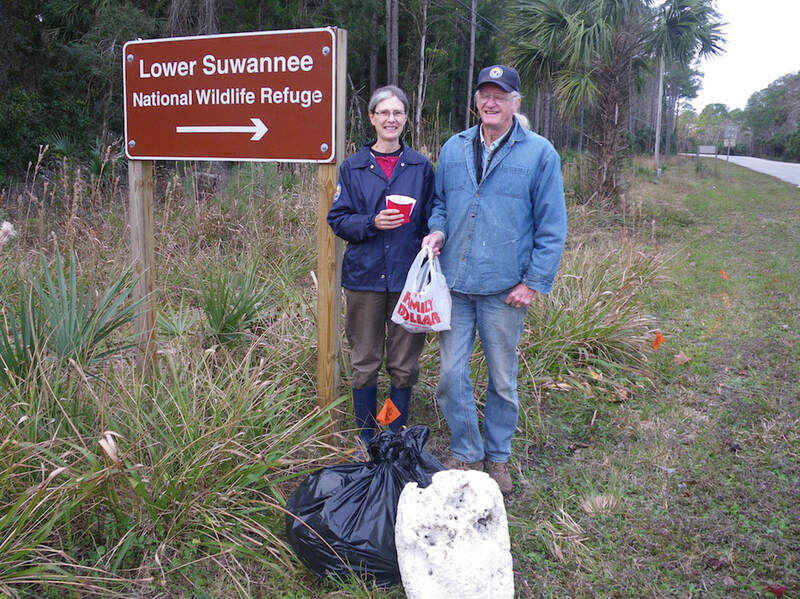 During the busy winter season, on both the Levy County and the Dixie County side of the Lower Suwannee NWR, a critical set of volunteers contribute many hours each week to help the Refuge staff with maintenance and logistics work. In addition to Ron Black, the local resident and Friends member who is a regular volunteer presence at Shell Mound, camper volunteers Charlie Adkins and Carolyn Nobbs and Dusty and Cathy Dusterwinkle stay in their personal RVs on refuge property and working on projects to free staff for other tasks that might be less urgent but more mission-critical. Over the winter they put in more than 2000 hours, picked up almost 375 large trash bags of garbage, 25 tires, and 5500 aluminum cans, and worked on countless refuge projects directly benefiting wildlife habitat as well as improving visitor access. Their efforts were critical during the lapse in government funding while the refuge was closed. According to staff members, they are kind and grounded people with a passion for improving the natural resources of the refuges. Now it is time for the camper volunteers to return home. Last week, in appreciation for all their help, the staff members feted them at a luncheon cooked by heavy equipment expert Jason Coates and refuge forester Daniel Barrand.